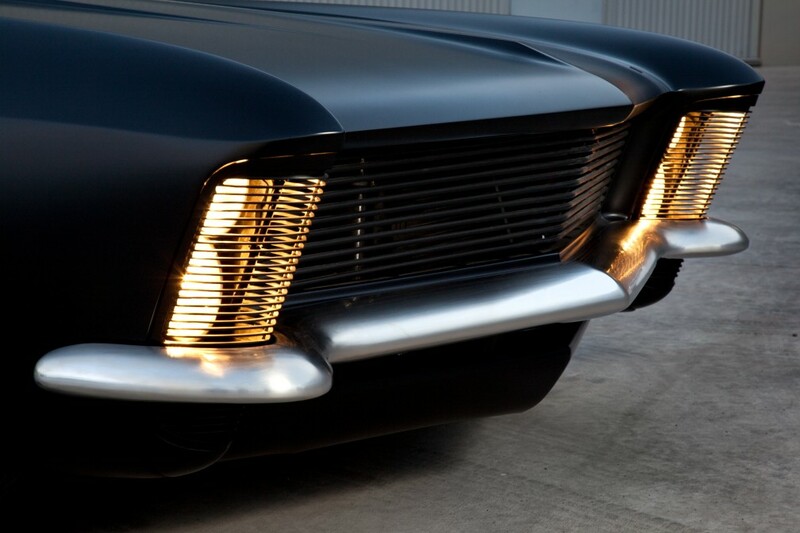 In the early 1960s, the hyper-talented creative types at General Motors Design (led by Bill Mitchell) created a mid-size, two-door personal luxury car. The tidy, almost European proportions and lines would eventually draw praise from such automotive design luminaries as Sir William Lyons, Sergio Pininfarina and Raymond Loewy. But this stylish coupe that would become the Buick Riviera wasn’t originally supposed to be a Buick; the design was intended for Cadillac, as a quasi-revival of the marque’s LaSalle sub-brand. 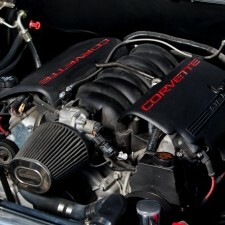 Cadillac management had no interest in the project, and Buick beat out Chevrolet, Pontiac and Oldsmobile in the internal competition for the right to build it instead. 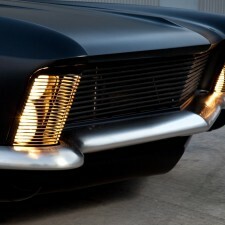 With or without the interesting backstory, the first generation Buick Riviera is truly an American classic. 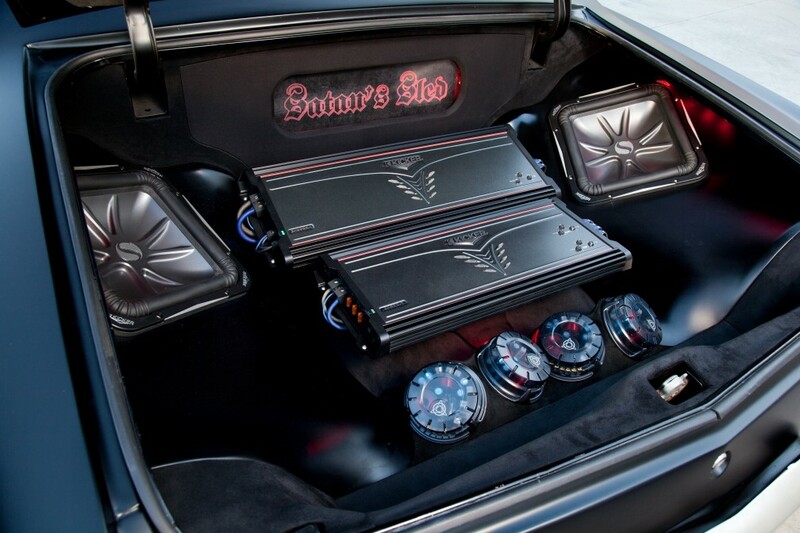 However, its classic status hasn’t precluded hot rodders and customizers from putting their own personal spins on this iconic body style. 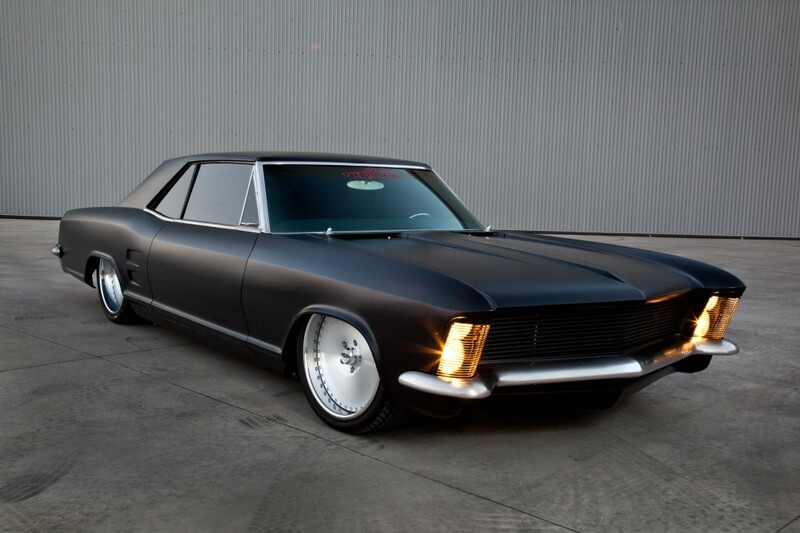 And the custom Riv created by Chris Feslerand the crew at Fesler Built for his friend, Ronin Syndicate CEO Tony Diaz, is very custom and very menacing. Diaz wanted his new-to-him Buick to give off a sinister, Depression Era gangster vibe. In other words, zoot suits, tommyguns and ending every sentence with “See?”…in the form of a car from 1963. 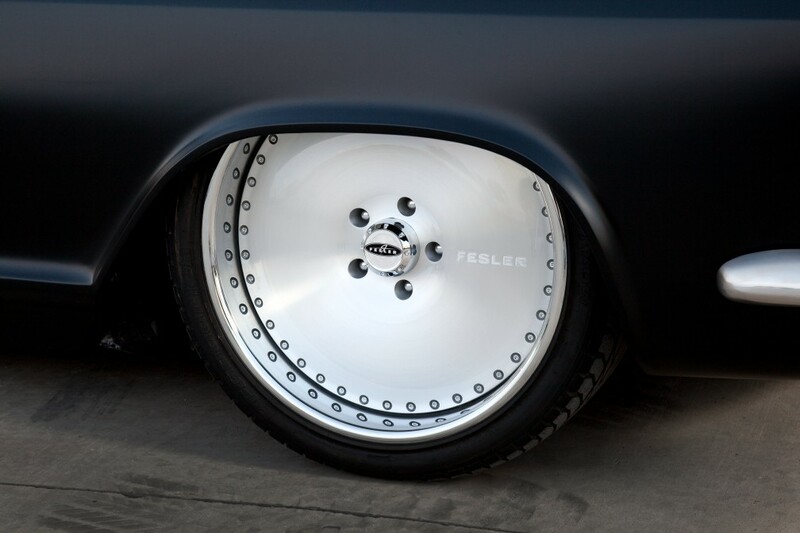 If you ask us, Fesler and crew seem to have delivered. The stock grille is replaced with a billet unit, and the headlights have been relocated from the edges of the center grille to the outer grilles at the tips of the fenders, which is where the original design placed them, and where they would be placed by the factory on the 1965 model. In back, the stock taillights have been replaced by thin LED strips. 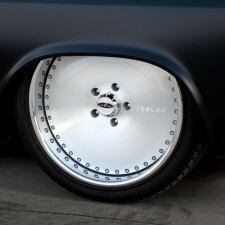 Fesler also shaved the emblems, trim and door handles, and fitted a set of its own 20” deep dish, solid center wheels. 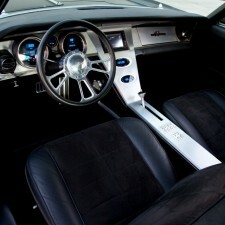 Inside, Fesler has given the interior a makeover while still retaining many of the stock design cues. The bucket seats are wrapped in leather and Alcantara, the dashboard and console are trimmed in brushed aluminum, and a set of Dakota Digital gauges have been installed to keep tabs on the car’s vital signs. 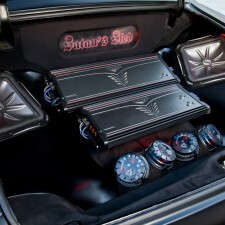 The dash also houses controls for a bumping 3,000 watt Kicker sound system, many of whose components eat up most of the trunk space. Naturally, you don’t drive a car like this for its practicality; you drive it because it looks cool and goes fast. 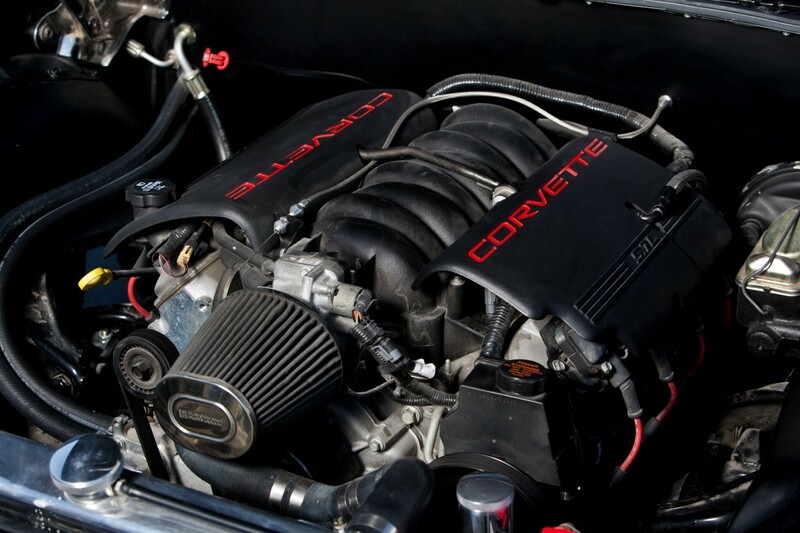 And while the 5.7L LS1 V8 that has taken the place of the original 425 cubic-inch (7.0L) “Nailhead” V8 isn’t the mightiest powerplant in the automotive world, it’s considerably lighter, more reliable, more economical and, oh yeah, peppier than the original engine. Shifting duties are handled by a 4L60E 4-speed automatic transmission. No word on the price for this build, but we’re guessing it’s a rather pretty penny. 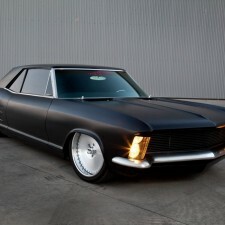 But look at it this way: It’s not another Impala, Nova, Mustang or Camaro. And for that, all of us who love atypical customs should be thankful.